Leiden archaeologists have identified a number of bone fragments that were excavated in Germany two years ago. 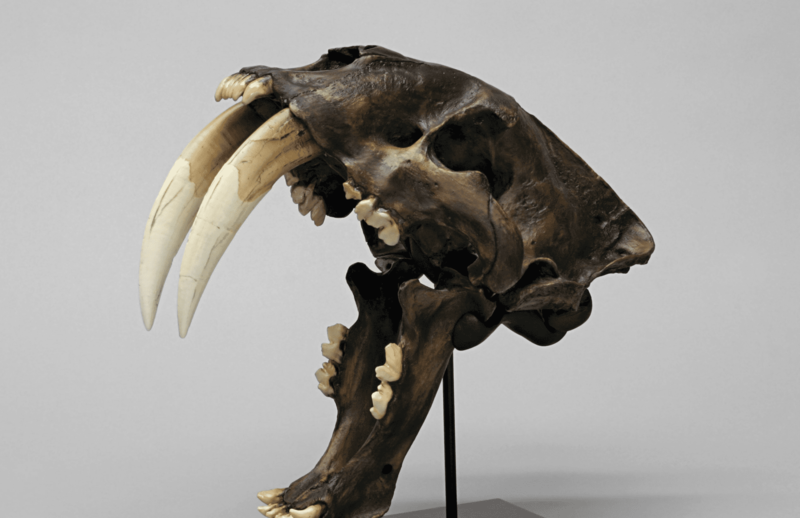 The fragments are from a sabre-toothed cat and appear to be parts of the skull of a prehistoric feline that is over 300,000 years old. The 11 bone fragments were found in May 2015 at a site in Schöningen (Germany), where archaeological excavations have been taking place for many years. Professor Thijs van Kolfschoten and his colleagues Ivo Verheijen and André Ramcharan from Leiden University compared the bone fragments with different species of felines, both extant and extinct, and discovered that the fragments are from Homoterium latidens: the sabre-toothed cat. Van Kolfschoten and his colleagues used a 3D scanner for their research so they could study both interior and exterior features. The bones are in very good condition, which means that a great deal of highly detailed information can be learned from them. The shape of the skull cavity shows the shape of the brain of this feline, which is relevant for the taxonomy as well as for functional research. The shape of the brain area can reveal a lot about the animal’s vision and hearing and about how these senses functioned. The exterior of the skull shows where the muscles of the neck and the lower jaw were attached. This confirms that the sabre-toothed cat had very strong neck and jaw muscles, which were necessary for its biting power and holding down its prey. These are not the first bone fragments of sabre-toothed cats to be found in Schöningen: this skull is the third specimen to be found here. These finds are quite unique, because fossil remnants of sabre-toothed cats are generally found in the US, with hardly any being found in Europe. The discovery of this third specimen will help us arrive at a better understanding of the European variant of the sabre-toothed cat. The excavations in Schöningen, headed by Professor Jordi Serangeli and Professor Nicholas Conard from the University of Tübingen and the Senckenberg Research Institute, are still ongoing. The archaeologists expect to find more remnants of sabre-toothed cats.